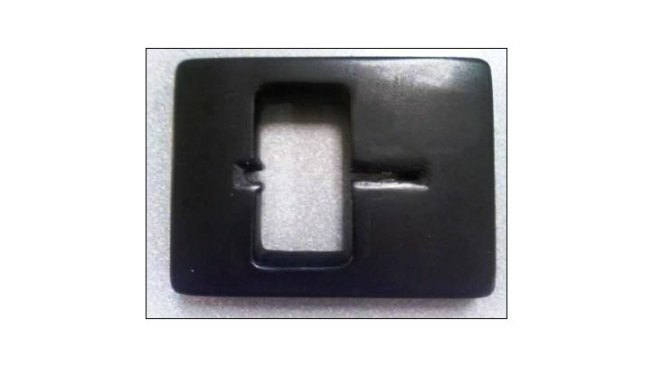 Two more ATM-card "skimmers" were found and removed from ATM machines at local hospitals this week, Fairfax County Police said. ATM skimmers trap card information from ATM cards as they are inserted into the machine. The devices often include a small video camera to record users entering their PINs. One of the two skimmers announced today was found where police had previously removed a skimmer device: on an ATM located near the lobby gift shop at Inova Fairfax Hospital. A hospital employee noticed that the slot for ATM cards was loose and wobbly; when she inserted her bank card, the device fell off. Police say that device may have been on the machine for weeks. After being notified of that incident, hospital security found another device, this one on a machine located in the Inova Fair Oaks Hospital lobby adjacent to the cafeteria. The machines are not owned or maintained by Inova staff. Police say anyone who used the machines should monitor their financial statements closely and report any inconsistencies in transactions to both their financial institution and to police at 703-691-2131. You can also file an online report here. To protect yourself from skimmers, watch for and avoid any cash machines that seem to have been tampered with - and cover the keypad when your other hand as you enter your PIN. In the previous incident, which occured in September, financial crimes detectives are investigating four cases, but believe there may have been more victims.